Coolabah Shades are the Victoria agent for Skyspan Umbrellas. 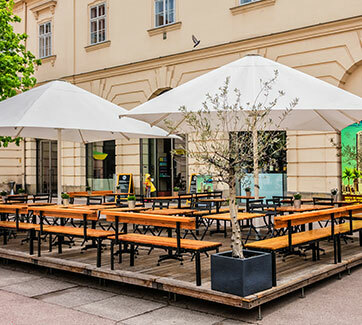 Skyspan Umbrellas, based on Brisbane southside, in Australia, are industry leaders in the design & manufacture of commercial outdoor umbrellas. 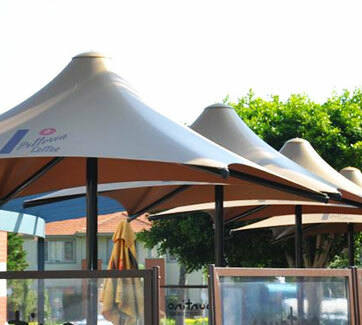 Our range includes cantilevered, centre mounted, retractable shade and portable shade umbrellas. All our umbrellas are 100% weather and UV proof, and consist of a wide range of sizes and colours. Skyspan has the only wind rated ‘engineered’ motorised umbrella in the world.